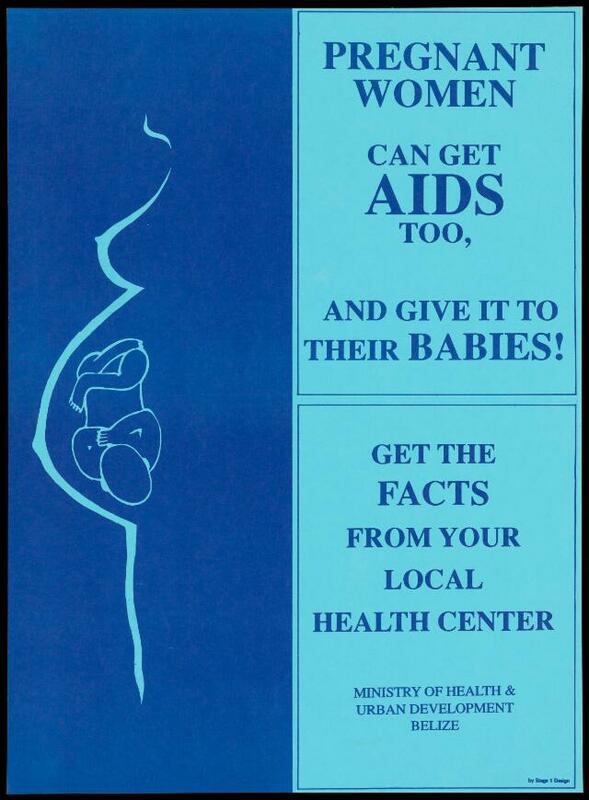 The blue silhouette of a foetus in the womb of a woman; a warning to pregnant women about the dangers of passing on AIDS through pregnancy issued by the Ministry of Health & Urban Development of Belize. Colour lithograph by Stage 1 Design, ca. 1995. Pregnant women can get AIDS too, and give it to their babies! Get the facts from your local health center. Ministry of Health & Urban Development. By Stage 1 Design.